Using this system makes memorizing longer passages of scripture verses, speeches, poetry—or anything you can think of—very easy. I’ve seen it work for my own kids, and I know it can work for yours too! How do I prepare my memory box? 1. Get your supplies. 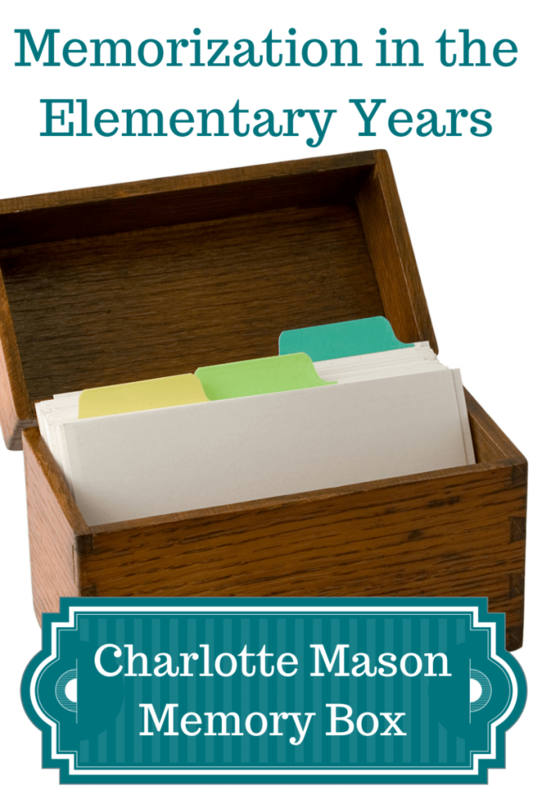 You’ll need an index card box (these printables are designed for a regular 3×4″ index card box). You’ll also need cardstock for printing out these pages, scissors for cutting your dividers, and tape for reinforcing the tabs. 2. Determine what days you’ll use your memory box. Will you make this part of your evening routine and use them every day? Will you use them only on days you do school (if you homeschool)? You only need to cut out and prepare the dividers you’ll be using. 3. Prepare your dividers. Print out the sheets you’ll be using on cardstock. I highly advise reinforcing the “tab” part of the dividers with scotch tape so they don’t rip off in the first few weeks of using them (or after being handled by little fingers). 4. Prepare your note cards. What do you want your kids to memorize? The possibilities are endless: bible verses, poetry, famous speeches, math facts, vocabulary words (English or a foreign language), address, phone numbers—the list goes on and on! How do I use the memory box? That’s up to you! Seriously. 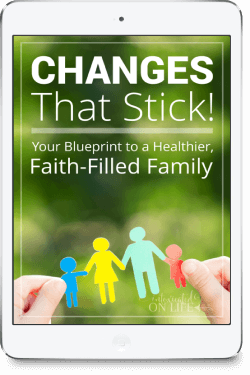 You can do what you want and customize it the way that works best for your family, but I’ll tell you how I use it. I put one one card from each category of things we memorize in the front under the daily tab. Currently we use the box for Bible, catechism, poetry, and occasionally I’ll throw in other things I’d like my kids to memorize. We work on getting the cards under the daily tab memorized really well. When they can go through a card 2-3 days in a row with no helps, I move it to either the odd or even tab. After this I move a new card one from that same category into the daily slot for us to start working on. At this point your kids will only be going through the passages on an every other day basis (odd days or even days). After they can do that a couple of weeks with no helps, I move it back into a weekly tab. Again, after they can go through the passage once a week with no helps several times in a row, I then move it back to one of the monthly tabs. We continue this process of adding new cards and reviewing older ones. It’s been a great system for us. It helps us stay on track with new memory work. At the same time, this gives us a method for systematically reviewing information on a decreasing schedule. Below are some cards to get you started filling your box. I love this concept. I have always leaned toward longer portions of scripture memorization too, bit this seems very helpful in that process more so than just drilling every night. I wish you had some worksheets in Italic handwriting. I am looking forward to using this memorization system this year and really appreciate hearing your description of it. I also agree with Brenda that it would be great to see your worksheets done for italic handwriting. I used this system for memorizing. I didn’t know it was Charlotte Mason. I plan to use this with my kids. Mine are still young, but I think I will use it to keep track of what I want them to memorize and eventually I will help them learn how to use it. When do you make a practice of reviewing the weekly/monthly items? Does it start to get overwhelming to practice the monthly review items? Do you break it down and review “10” cards every day from the Monthly category, “5” cards from the Weekly category, etc.? It hasn’t become overwhelming yet. Eventually, when the kids obviously know the cards backwards and forwards for several months with just once a month review, they just get retired. We’ve not ever had more than one or two cards from the monthly review per day and typically not more than a couple from the weekly review either. Are the divider printables no longer available? I don’t see them anywhere. Glad you found them! Sorry for the confusion.